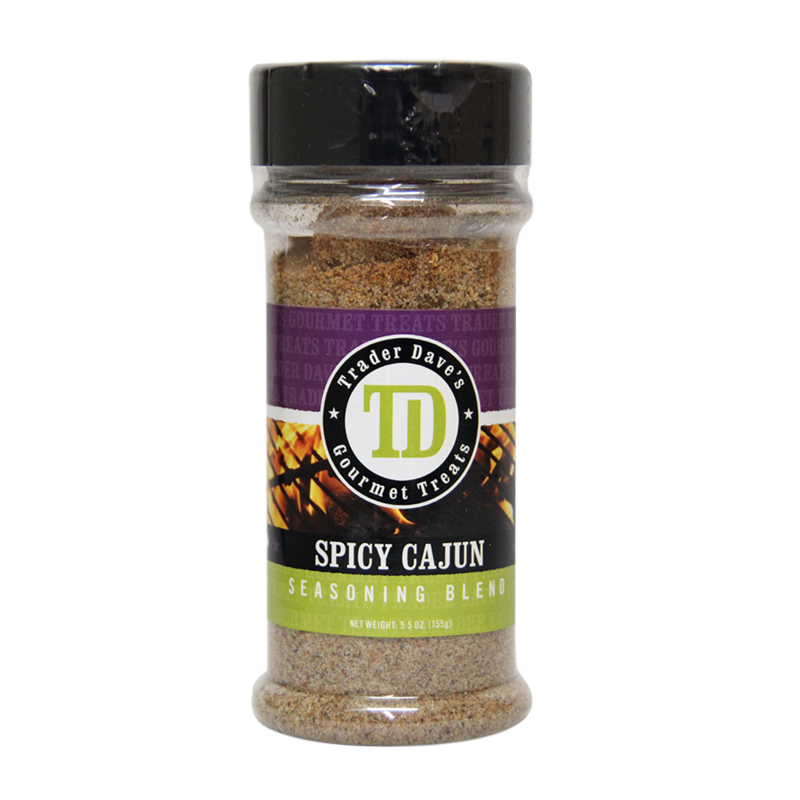 Use Trader Dave’s Spicy Cajun Seasoning Blend straight from the jar for a kick of bayou flavor. 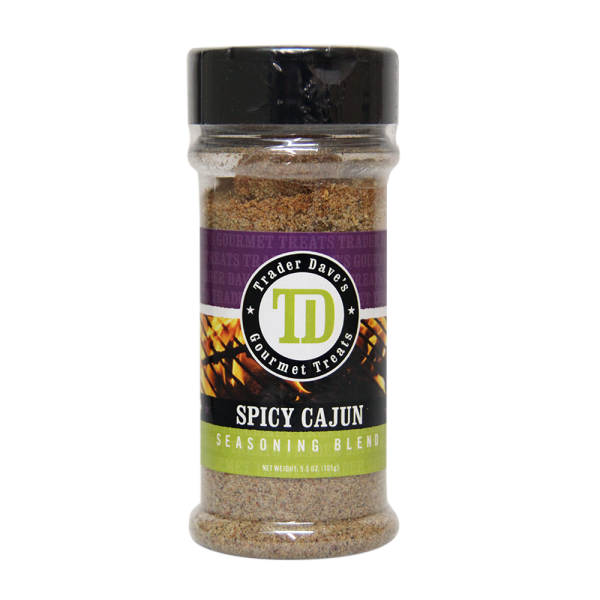 Perfect for seafood, chicken, meats, vegetables, beans and rice, pork chops and more. 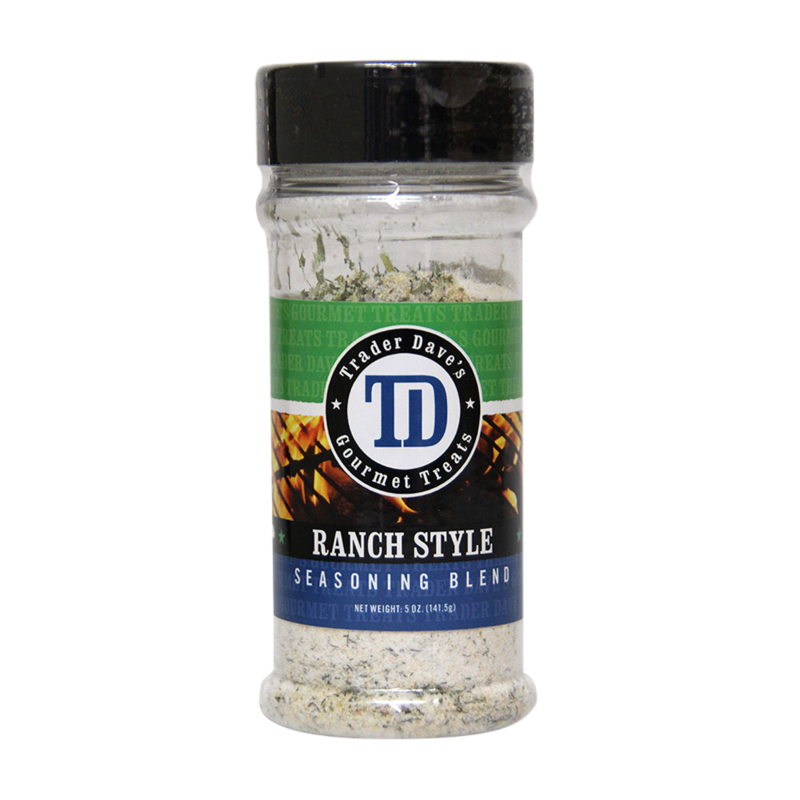 It’s a blast of all natural flavor. 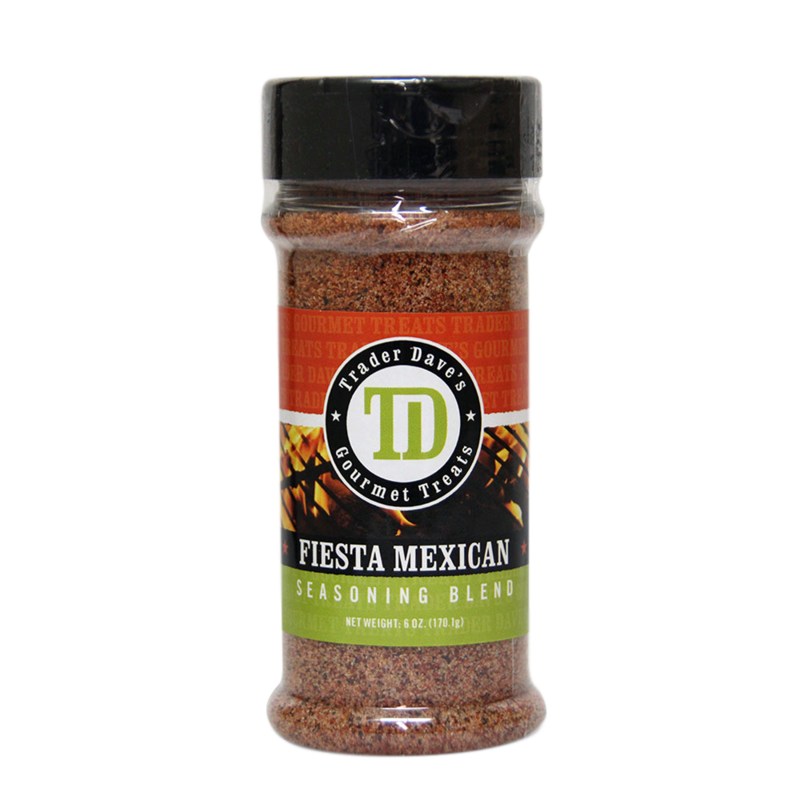 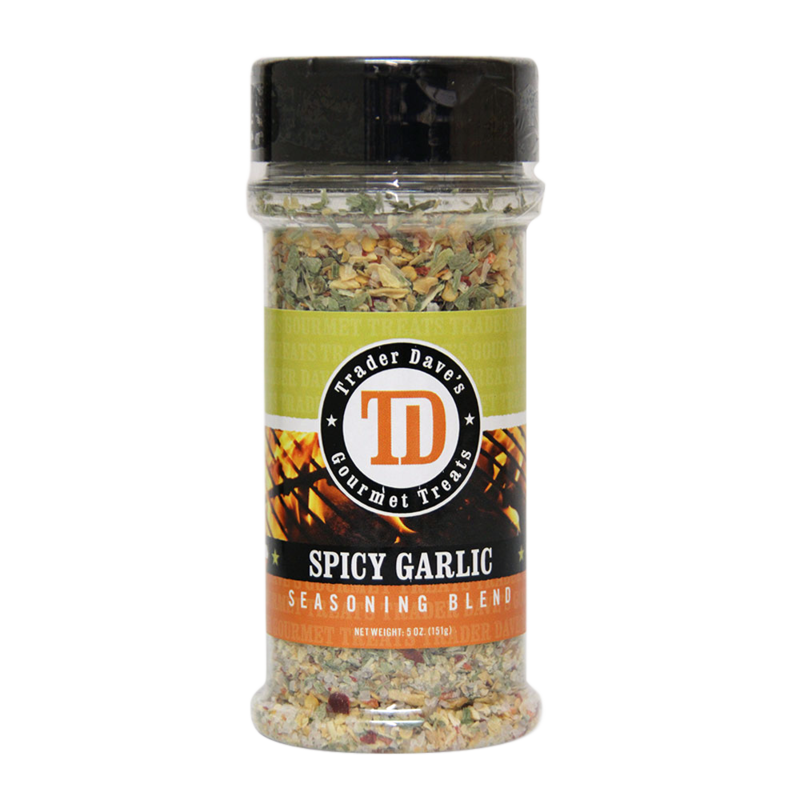 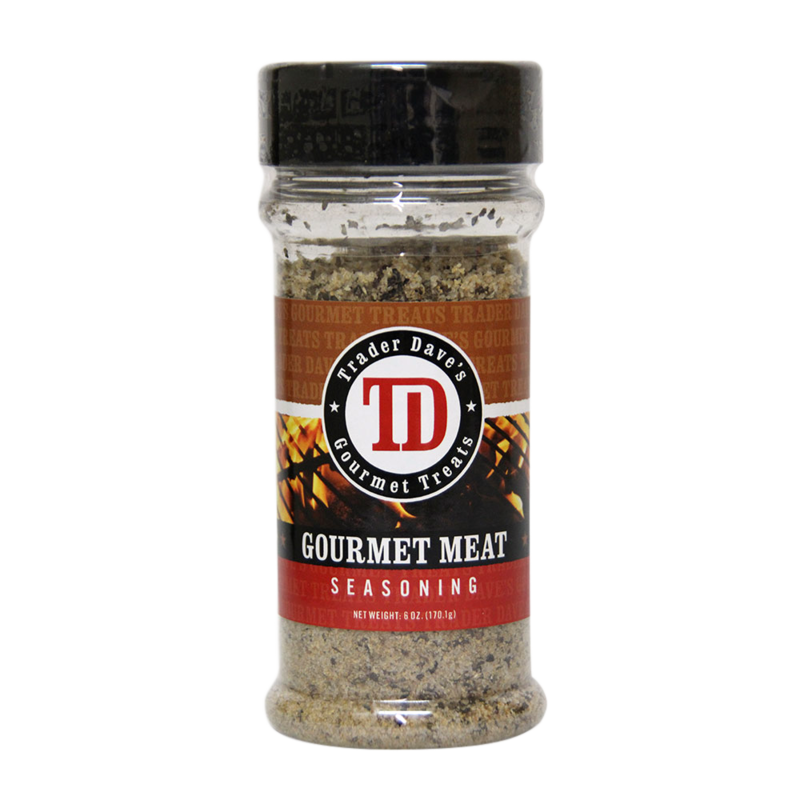 Ingredients: Sea salt, garlic, onion, paprika, black pepper, ground red pepper, allspice, ground bay leaf, lemon peel, cloves.